Posted September 24, 2012, in News. Students, staff, and faculty are invited to attend a presentation by Sisters Anna Beata Murekatete and Thierry Dominique of the Benebikira Sisters Foundation, in Rwanda, who will discuss the orphanage and school they started as a refuge for child survivors of the Rwandan genocide of 1994 and today serves a wide range of children with housing, support, and education. They will also discuss larger implications for aiding children in Africa and children’s rights. Food and drinks will be provided. Anyone wishing to meet with the Sisters privately after the talk can do so by contacting John Wall at johnwall@camden.rutgers.edu. For more information on the Foundation, please visit https://benebikira.org/index.php. 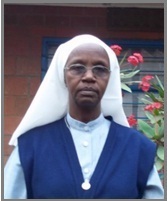 Sister Anna Beata Murekatete is a Roman Catholic Nun of the Benebikira Sisters (Daughters of the Virgin Mary) Congregation, the first local order founded in Rwanda in 1919. She is Director of Notre Dame des Anges K-12 private school being built in Kigali, Rwanda; Founder/Director of New Life in Christ Pastoral Program for Healing and Reconciliation; and past Principal and Teacher in private schools in Rwanda. She co-founded the Benebikira Sisters Foundation, as well as Human Rights Clubs in Rwandan Schools, which won the Pillar of Peace Price from UNESCO in 2000. She has an MA in Pastoral Ministry from Boston College, and a BA in Educational Psychology from National University of Rwanda. 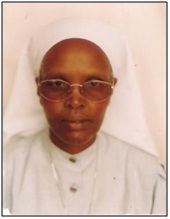 Sister Thierry Dominique is Mother General of the Benebikira Sisters and the Director for its Continued Training Center. She is President of ISR, the Inter Congregation Institute for Religious Studies in Butare, Rwanda. She has a BA in Religious studies from Regina Mundi Institute, Rome, and studied at the Teacher Training School at Groupe Scolaire Officiel Butare, in Rwanda. ‹ Previous: What to do with a humanities degree? Page last updated by Department of Philosophy and Religion at 10:51 am March 26, 2013 . This page was printed from http://philosophyandreligion.camden.rutgers.edu/2012/09/24/working-with-children-after-the-rwandan-genocide/ at 4:12 PM Friday, April 26, 2019.